The relationship between maternal diabetes mellitus (DM) and neonatal respiratory distress syndrome (RDS) has long been recognized, but the conclusions of this relationship were non-consistent. We conducted this meta-analysis to explore the association between maternal DM and the risk of neonatal RDS. We searched PubMed and Web of Science databases for cohort or case–control studies related to the association of maternal DM and neonatal RDS risk up to 25 August 2018. The pooled odds ratios (ORs) with 95% confidence intervals (CIs) were estimated by the use of random effect model. Meta-regression was used to explore potential sources of between-study heterogeneity. A total of 24 studies from 23 available articles were included in this meta-analysis. For the association between maternal DM and the risk of neonatal RDS, the pooled OR was 1.47 (95% CI 1.24–1.74), especially for cohort studies (1.39, 95% CI 1.17–1.65). 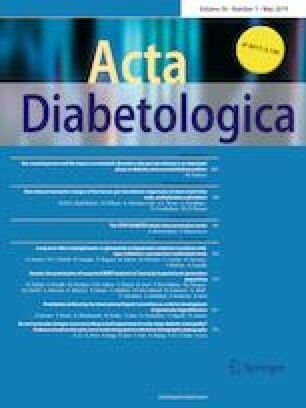 The pooled OR of the risk of neonatal RDS was 1.57 (95% CI 1.28–1.93) for gestational diabetes mellitus (GDM) and 2.66 (95% CI 2.06–3.44) for pre-gestational diabetes mellitus (PGDM). This meta-analysis suggests that maternal DM, including GDM and PGDM, is linked to an increased risk of neonatal RDS. The online version of this article ( https://doi.org/10.1007/s00592-019-01327-4) contains supplementary material, which is available to authorized users. Li and Zhang conceived the study, participated in its design and coordination, and were involved in drafting the manuscript. Li and Wang carried out the literature search, data extraction, and interpretation of the data. Li, Wang, and Zhang reviewed and revised the manuscript critically for important intellectual content. All authors approved the final manuscript as submitted and agreed to be accountable for all aspects of the work.